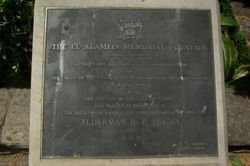 The El Alamein Memorial Fountain commemorates the deeds of the Ninth Australian Division during the Second World War and was designed by the Australian born architect Bob Woodward. Apart from the Sydney Harbour Bridge and the Opera House, perhaps the most photographed tourist attraction in Sydney is the El Alamein Fountain at Kings Cross. 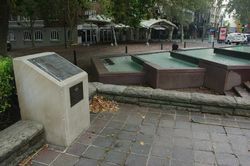 Dedicated in commemoration of the deeds of the Ninth Division of the Australian Army during World War II, the fountain was officially placed in operation on 18th November, 1961. 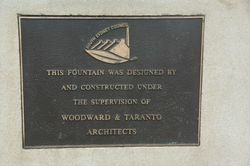 It covers an area of some 60 feet by 40 feet, and consists of four terraced basins with a spherical fountainhead rising from the hexagonal base. 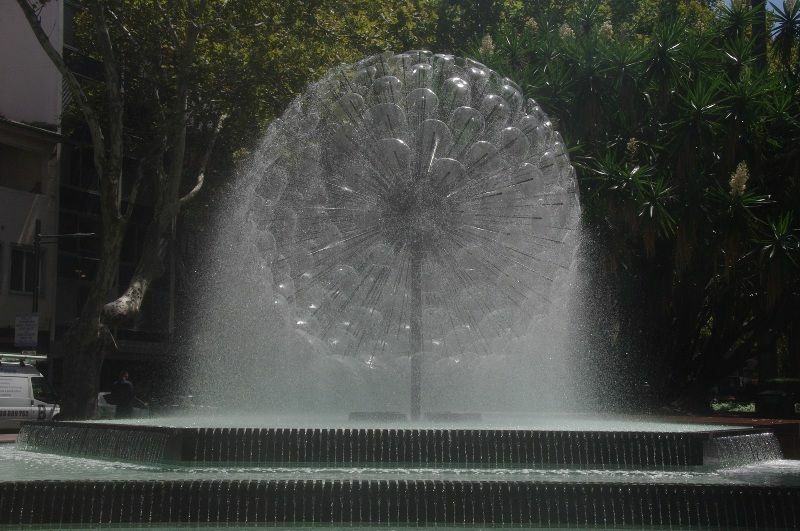 From the periphery of the fountainhead sphere, water is extruded from hundreds of outlets in saucer shaped films of water which form the sphere. As these films of water fall and break into spray, a drape of mist falls from the sphere into the top basin, from which the water flows through bronze drills or grooves in cascades to the three lower basins. From the lower basins the water is returned to a tank beneath the fountain, and then pumped again through the sphere head. The whole effect is intriguing, and the El Alamein Fountain ranks as one of the outstanding fountains in Australia. Western Herald (Bourke, NSW), 11 April 1969.